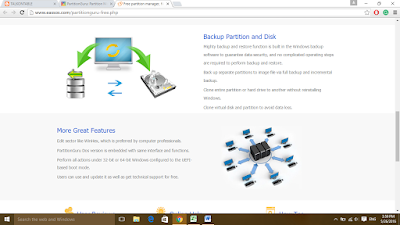 PartitionGuru is a software that helps in creating partition into hard disk, Data Recovery for data which has been deleted from your device and most important PartitionGuru takes backup of Windows PC. with its features it is 3-in-1 app. To download PrtitionGuru, go to this website. Click on "Free Download" icon. The file will download to download bar, Right click on the file and select Open. 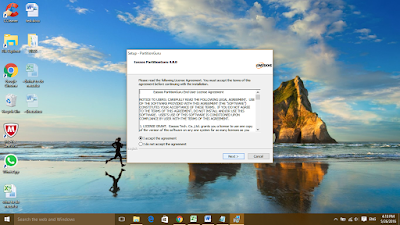 PartitionGuru will start installing, now it will ask please read the following licence Agreement. Before proceeding accept the terms of this agreement. 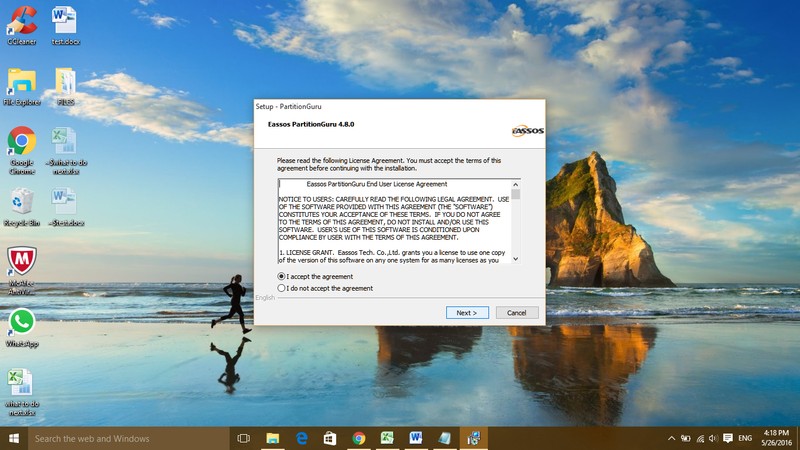 Click on “I accept the agreement”. And click next. Now click finish to exit setup. PartitionGuru is ready to use. This application is easy to use or you can say user-friendly app with easy to learn and use tools. 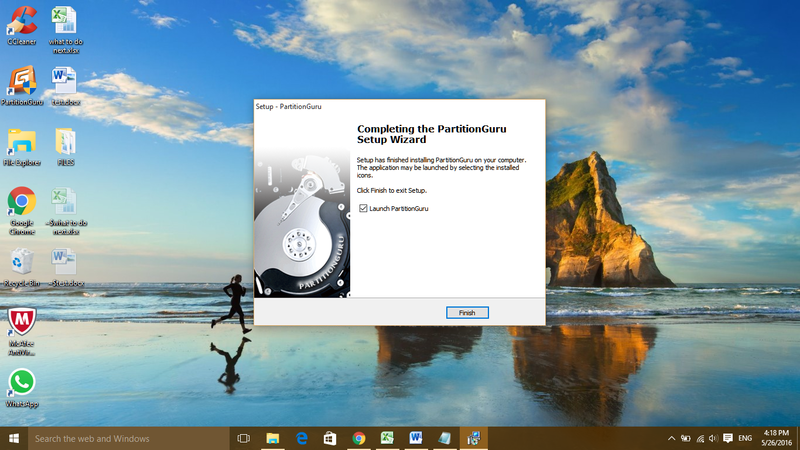 PartitionGuru shows all partition done on your PC. 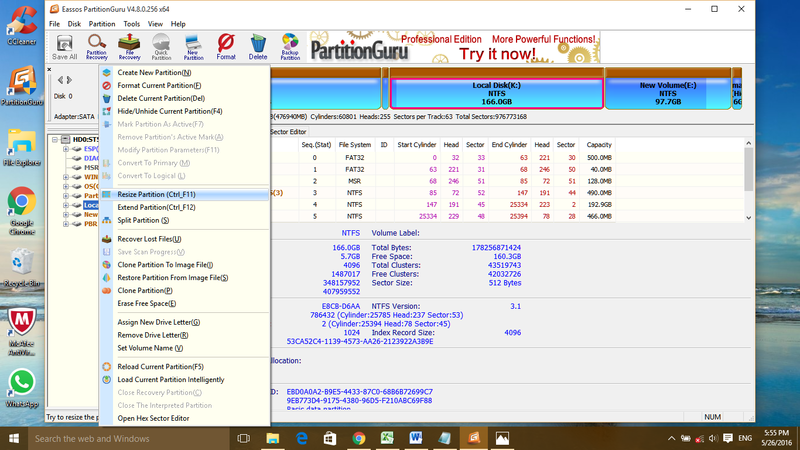 This app provides complete information about your disk drive. The navigation bar points towards Save All, Partition Recovery, File Recovery, Quick Partition, New Partition, Format, Delete, Backup Partition. 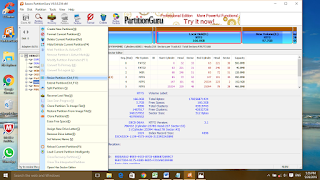 PartitionGuru enables many features of disk partition. Like make partition, delete partition, resize and split Partition without any data loss, format partition and give drive a name. 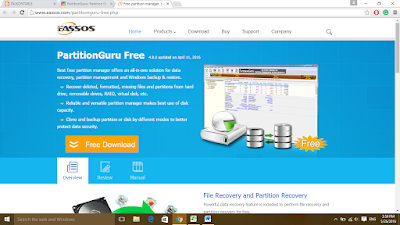 PartitionGuru enables the app to recover deleted or formatted partition. To do Partition Open PartitionGuru and select drive. Now right click and select “resize partition”. Next windows will require how much space you want on your new partition, that much space will be less from old Partition. 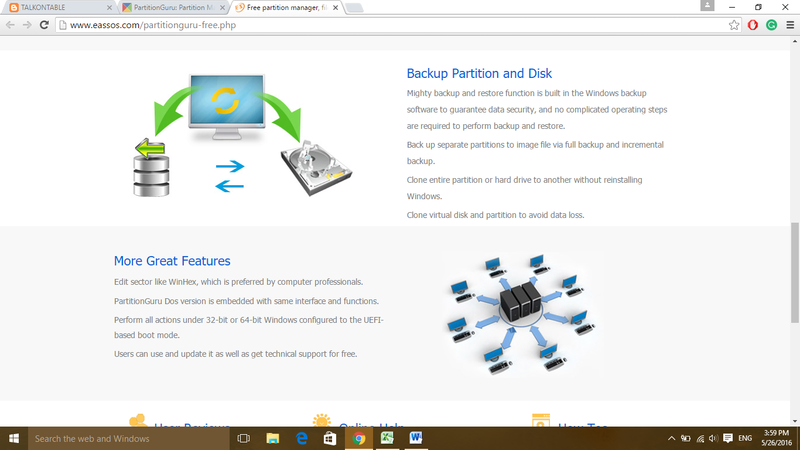 Now click on Start button to do partition. A message will come and click on “Yes”. After completion of this process, your partition will be ready. PartitionGuru enables its users to recover data lost or deleted with Recycle Bin. 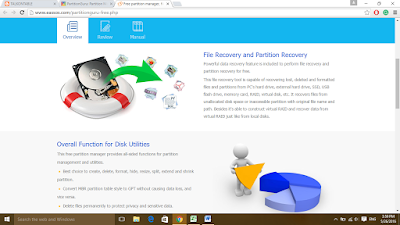 Select partition from which you want to recover data. Now click on file Recovery from toolbar Menu. Now choose a recovery mode either recover deleted file or complete recovery. Click on Start to initiate process of file recovery. It is recommended that always keep Backup of your Data. PartitionGuru enables its users to keep a backup of their data.For this select partition from PartitionGuru, now click “Backup Partition” from its toolbar.After that click on “source partition“ to select system partition to backed up and click on “select image file”, where you want to place that file. The app will take backup of that partition.You may like How to fetch files from Windows 10 remotely using onedrive website. Excellent post. I learned lot of useful information. Thanks for sharing.